VIRGINIA BEACH, Va., (November 16, 2015) – Across Hampton Roads, gas prices have remained either at or below $2 for 28 consecutive days with the current average at $1.95. This is .80 less than a year ago, eight cents less than a month ago and five cents less than last week. Virginians could continue to experience low gas prices thru the holiday season. Presently, the average price for gas sits at $1.98 across the Commonwealth. These lower gas prices are being felt nationally as well with the current average at $2.16 per gallon. AAA believes that U.S. prices should continue to decline and could drop below $2 per gallon for most of the country by Christmas for the first time since 2009. Historically, gasoline demand tends to decline during the month of November, and with the autumn refinery maintenance season nearing completion, pump prices are expected to move lower to close out the year, barring any unanticipated outages or supply disruptions. 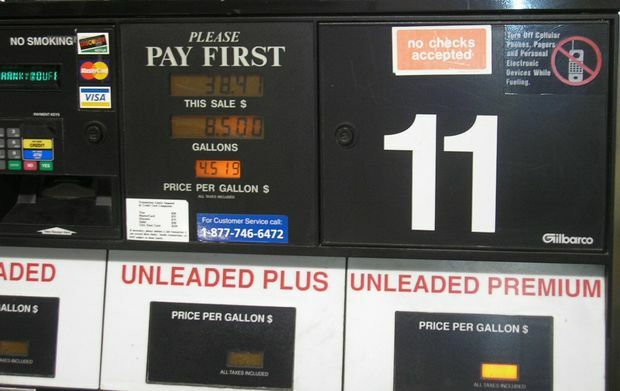 Ten states are posting averages below $2 per gallon. The price of crude oil remains noticeably low compared to previous years, and as a result, retail averages are down 74 cents per gallon year-over-year. WTI opened this week’s trading session posting gains, though prices have since declined. This comes following a week of testing the $40 per barrel threshold, and closing Friday’s formal trading session on the NYMEX, down $1.01, settling at $40.74 per barrel, a closing price that represents a loss of nearly 10 percent on the week.